Learn and master the essential skills that every perimeter player needs to know in order to be successful. 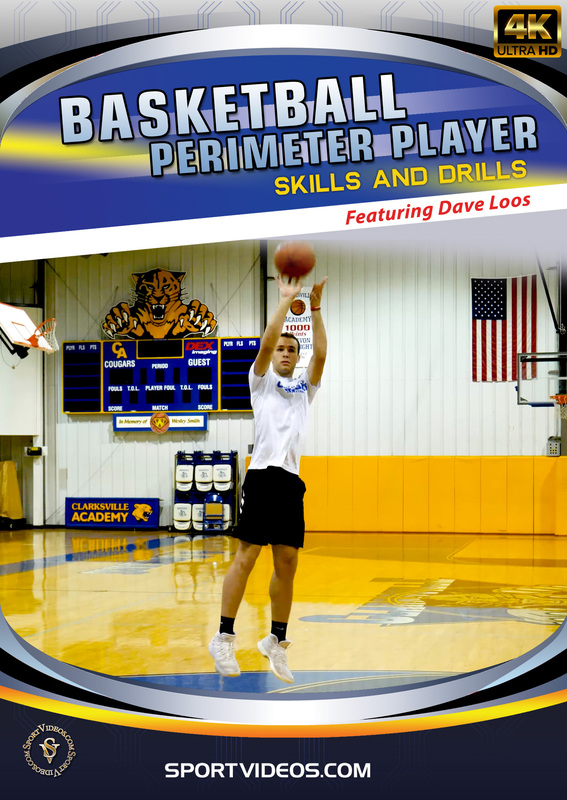 This 73 minute video features expert instruction from veteran coach Dave Loos. Among the topics covered are: Warm Up Drills, Footwork, Shooting Technique, Getting Open, Shooting Drills, Passing, The Pick and Roll, and Dribbling Drills. This comprehensive video contains everything you need to develop into an outstanding perimeter player! 73 minutes. 2018. About the Coach: Dave Loos was the head men's basketball coach at Austin Peay State University (APSU) in Clarksville, Tennessee from 1990 until retiring at the end of the 2016–17 season. His teams won over 400 games during his 26 seasons coaching at APSU. Loos came to APSU after four seasons as the top assistant for Memphis State University in Memphis, Tennessee. Dave Loos played both basketball and baseball during his college days at Memphis State where he was inducted into its athletic Hall of Fame in September 2002.